1- Logo, content: Arabic Online. 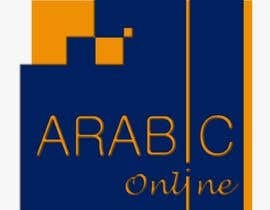 Reflecting the unique image of Arabic language in a modern online learning environment. The use of Arabic calligraphy is fine, mixing a two elemnts\sympols from technology and the Arabic language is also fine, please avoid Islamic symbolism or hints, and no books, pages or pens. All these might confuse our target audience with wrong ideas. 2- Web Banner 1, a welcome banner acting as a fullscreen background for the homepage of our new website, displaying the logo and the slogan: Learn Arabic anywhere, anytime. Choose images or draws you see fit. 3- Web Banner 2, an invitation for our free scholarship program, we will later place it on top of the registering form. content: Join Us! Apply for Free Scholarship. 1- accept to make some final adjustments if needed (colors - fonts - resizing etc...). in general, we're looking for a good designer to produce our new identity with great effort and consistency in the artwork. Please don't hesitate to ask me any question for further clarification, I will be happy to answer. So, this is not only a logo, but an web homepage designing ? 1 logo and 2 banners. I said in the description. this contest's requirement only a logo? or the whole 3 requirements. please check Entry #242 #243 #244. Please check entry #104, #120 and #124.
woman image must be in hijab or otherwise? not necessary. we target males and females from all different cultures and races. Referring to link given, do you still require the same colours as in the website? no, as I said ignore the style. it's an old website based on old identity, we want fresh ideas and a new look. How about woman images is that allowed? Content is 100% in english language? yes, for this contest we only require content in English.